The trouble-free operation of the energy distribution grid presents a challenge in the era of renewable energy sources. Researchers at TU Darmstadt demonstrate how grid operators can operate and expand underground cabling in a more efficient manner. 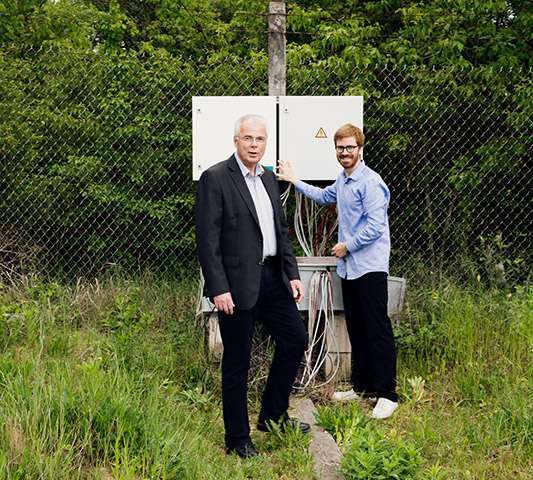 The test site for buried electric cables in the South Hessian town of Griesheim is a technically ambitious experimental facility. 90 temperature sensors, 16 water tension sensors and 20 moisture sensors combine to measure interactions between power cables and soil in which they are embedded – including clay, loam, sand and an artificial liquid soil – under varying loads and changing environmental conditions. The data is automatically recorded, read out and forwarded to the scientists for analysis. 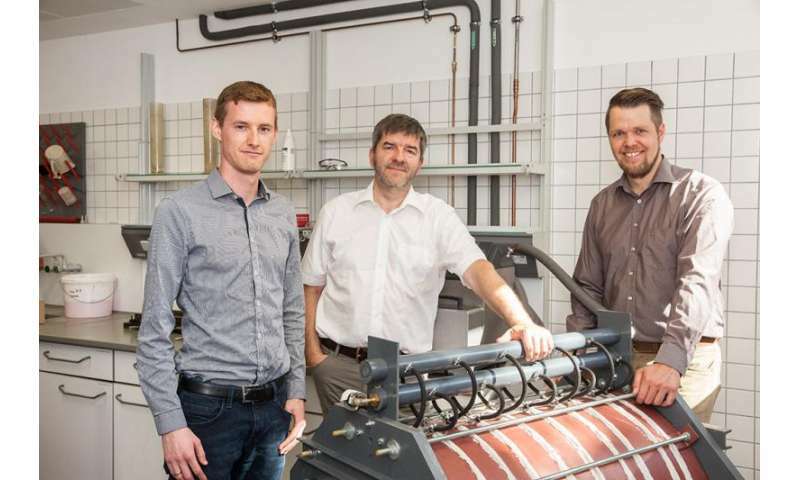 The interdisciplinary team from the Department of Geothermal Science and Technology and the High Voltage Laboratories at the TU Darmstadt is primarily interested in the effective thermal conductivity of the various cable bedding materials. "This is the crucial parameter for determining the extent of the load to which a cable system can be subjected", explains Professor Ingo Sass, who heads up the Department of Geothermal Science and Technology. 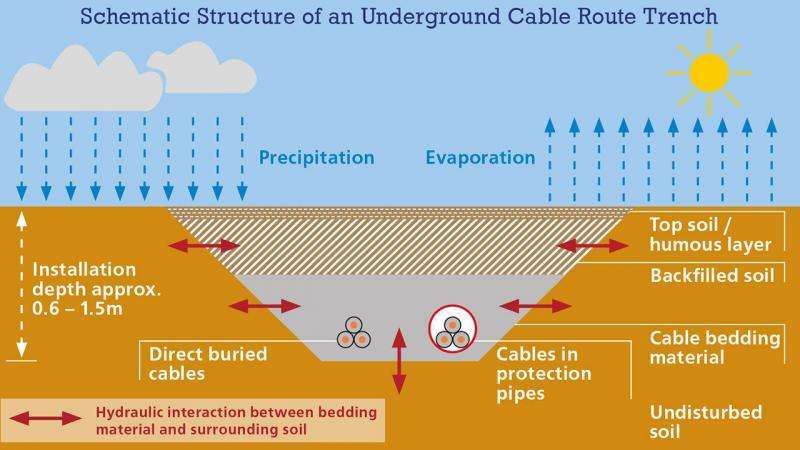 If cables dissipate heat in the course of conducting electrical power, the surrounding bedding substance dries and its thermal conductivity is reduced. These interactions are by no means trivial, for excessive thermal loading lowers the durability of the electrical insulation of the cable material. Extreme cases can result in outages and concomitant power supply bottlenecks. The hydraulic conditions of the surrounding soils have a strong influence on the moisture content of a cable trench fill material. In particular, the scientists also want to know the extent to which short term load spikes, of the kind that result from volatile energy sources such as wind and solar, can adversely affect the cable load capacity. The successful collation of reliable thermal conductivity data and development of corresponding analytical and forecasting processes would enable power grid operators to optimize their use of existing cabling systems and to undertake the expensive expansion of the national grid, which the energy transition has made necessary, in a more cost effective manner. And this is the starting point for the research alliance: "We want to create the foundational technologies that will make it possible to utilise cables more efficiently than it would normally be possible", says Sass. Cables used for the transmission of medium and low voltage electrical power are usually installed underground in germany. According to Professor Volker Hinrichsen, Head of the High Voltage Laboratories, the existing cabling stocks have grown organically since wide-area power distribution began in the early 20th century. There are practically no reliable diagnostic tools, which can shed light on the condition of these cabling systems. The standards pertaining to supply security, in particular, are worded in such a conservative manner that they are, de facto, always oriented on a worst case scenario. The thinking among experts is, therefore, that the majority of cabling systems are currently operating far below their theoretical thermal loading capacity of 70 to 90 degrees centigrade at the cable conductor. "And", says Hinrichsen, "it is these resource that we are now trying to access." Experts consider the intelligent use of existing cable routes as part of a "smart grid", based on an understanding of their thermal properties, to be a fast and relatively less costly alternative to a lengthy and expensive expansion of the grid. In their estimation it ought to be possible to increase the current load levels by ten to twenty per cent with the aid of an intelligent operations management system. Yet, the challenges are complex. "There are thousands of different soils", Ingo Sass explains, "and they have thousands of different thermal properties." Within the distribution area supplied by one major Bavarian distribution grid operator alone, researchers have identified 39 of the main soil types, each of which has a heterogeneous constitution. The extent to which soils can differ at different locations is exemplified by a sandy soil whose thermal properties can undergo a radical transformation, but only after it loses an excess of 80 per cent of its moisture content. Based on laboratory analyses of well over a hundred soil samples, the scientists are now able to describe the processes that take place in different soils and bedding materials in precise detail, and can model the results from the cable test site with the aid of numerical simulations. The laboratory experiments provide insights into the ways in which the effective thermal conductivity of a given bedding material changes as a function of the hydraulic conditions of the surrounding soil and a cable's capacity to dissipate heat. To this end, researchers use the dissipated heat from buried cables to desiccate different bedding materials and soils in a targeted manner and under predefined conditions, and precisely measure the development of thermal and hydraulic properties over time. The results of the field tests and laboratory experiments are then fed into numerical models. These can help to produce an even better understanding of the physical processes, to better quantify the parameters involved, and to correct experimental concepts where necessary. They also enable the transfer of fundamental research findings to any given cable route and the soil conditions in which it operates. The calculations form the basis for tools that can be used online which will then be integrated into intelligent plant management systems in medium and low voltage distribution grids. This would relieve grid operators of the need to permanently monitor the cables using costly temperature sensors of the kind currently deployed throughout high and maximum voltage cable grids. Instead, they would be able to identify highly stressed sections of their cabling systems in advance and either reduce the load temporarily or else install improved bedding materials in these hot spots for long-term stress relief.